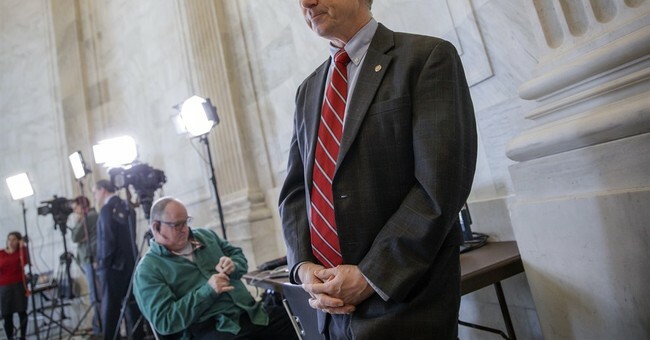 Senator Rand Paul sent out a cryptic message on Twitter Friday morning, saying that he "has formally requested from the WH and the Intel Committees info on whether I was surveilled by Obama admin and or the Intel community." I have formally requested from the WH and the Intel Committees info on whether I was surveilled by Obama admin and or the Intel community! This closely aligns with President Donald Trump's claim that he was wiretapped by Obama administration officials during the 2016 campaign in his New York office. Paul also wrote, "Did the Obama admin go after presidential candidates, members of Congress, journalists, clergy, lawyers, fed judges? Did the Obama admin use warrantless 'wiretapping' on other candidates besides (Donald Trump)?" in two separate tweets. In April, it was discovered that former National Security Advisor to Barack Obama, Susan Rice, was directly involved with surveilling President Trump's campaign efforts in 2016. “What was produced by the intelligence community at the request of Ms. Rice were detailed spreadsheets of intercepted phone calls with unmasked Trump associates in perfectly legal conversations with individuals,” U.S. Attorney Joseph diGenova told The Daily Caller News Foundation Investigative Group.